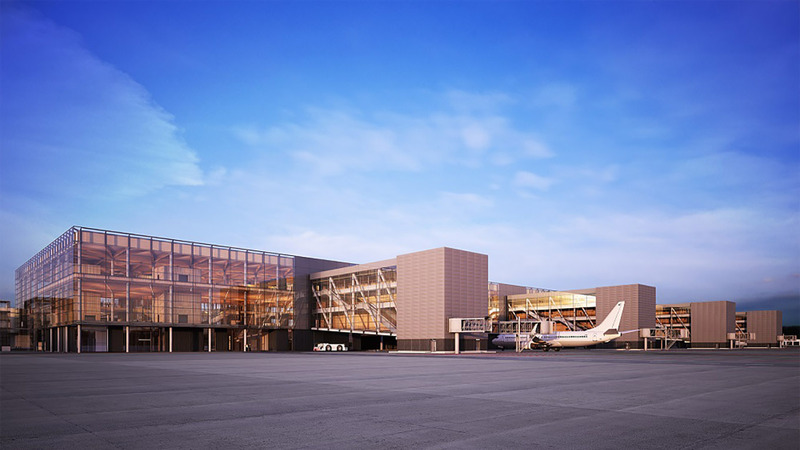 Arlanda Airport in Stockholm is expanding and Ramboll has been chosen as design partner for the development of Pier G, which will be connected to Terminal 5 in the airport. Focus will be on developing sustainable solutions. The new pier of Stockholm Arlanda will be a landmark once the refurbishment is complete. It will prepare the airport to handle an increasing number of travellers in the future and the new pier will expand the capacity to handle modern aircraft. “Working on a project that will impact so many people is both a challenge and a great opportunity. As we are already involved in the redesign of Terminal 5, we have a thorough understanding of the specific requirements. We look forward to continuing our long-term cooperation with Swedavia,” says Niklas Sörensen, CEO of Ramboll Sweden. The new building is approximately 80,000 m2 and will meet the highest standards for energy efficiency. And with its innovative design and construction, the building will itself set the standard for the future at Arlanda Airport. “We are excited to continue working on the expansion of Arlanda and to use our international building expertise to help Swedavia develop airports with sustainability in mind," says Matthew Pierpoint, Global Aviation Director at Ramboll Group. "Together with Swedavia, we are creating a terminal with a clear Scandinavian identity. The new terminal should be experienced as safe, quiet and efficient. That is why we will use natural materials such as stone and wood, and frame these with beautiful Scandinavian light", says Bjørn Olav Susæg, responsible partner from Nordic. When the new pier is completed, Arlanda Airport will be able to handle large and modern long-distance planes more efficiently than today, with increased passenger comfort and safety. Ramboll will design all technical solutions and coordinate the environmental classification, in accordance with the assessment method BREEAM. “Our focus will be on developing solutions that benefit sustainability as much as possible,” says Niklas Sörensen.